Do you have a garden? Do you like to grow plants? When I was a kid I used to have a corner of the garden all to myself to cultivate, where I used to have a few tomato plants, grew some radishes and a few lettuce (which were always eaten by the slugs). My sister has an allotment in London and in the summer she is fairly sufficient in salad and other vegetables. I have some tumeric root that I brought back from Nepal growing in a couple of pots that I will be transplanting outside later today. I enjoy pottering! Do you have green fingers? @Hermine? @Practical_Severard, @Vok, @lisa, @april, @Paulette, @Michouxe, @walter, @javier, @GemmaRowlands? Unfortunately I do not have my own garden, but I love to plant some green plants, and I plant some green plants in my office. There is a shared garden around the building @lisa, so I can plant a few things. Unfortunately the new gardeners managed to uproot some of my herbs. I need to check that they haven't moved some other herbs I have growing, though I did tell them that they were mine. Now all my time and money goes into building, but I have 1/3 acre of land, so I'll certainly grow something. Flowers and shrubs, some flower beds and the rest will go for a lawn. No vegs. The missus wants some conifers and dog roses. The soil is clayey and acidy, unfortunately, so we'll need to improve it. Some slaked lime and to sand should be added. Probably we'll sow first some green manure crops such as barley. This land is approved for household agriculture and animal husbandry. The missus has some bowl plants in the city flat. Theyare quite big and my job is to move them here and there from time to time. @mheredge I am not sure there is a shared garden or not in our community, because I am not familiar with the surroudings, but I can check when I am back China. By the way, have you ever tried to plant some vegtables, smaller ones, in the balcony of your apartment? I want to have a try in the near future. Roses like clay @Practical_Severard. Maybe if not vegetables, a corner to grow some herbs is practical as well as attractive. I have grown a few things @lisa, but I remember when I lived in London there was a warning that as the air pollution was quite bad, tomatoes should be avoided as they absorb a lot of the particles. My nextdoor neighbour grows strawberries on her balcony. I am hoping to move somewhere that either has a small garden or terrace where I will grow a few things. > Roses like clay @Practical_Severard. >Maybe if not vegetables, a corner to grow some herbs is practical as well as attractive. That's up to my wife. She's been quite urban but after she gets acquainted with the female neighbours, some of whom are keen gardeners, she'll probably want some vegs. But I wouldn't want to get tied to a plantation. Actually, I have my ideas also, such as a flower beds from endemic flowers and maybe hazels. Just don't know how many of them are needed to make some hazelnut oil. @mheredge It is forbidden to plant tomatoes in private in London? Just now I discusses planting vegetables in balcony with my workmate, she recommends me to plant some tomatoes for my daughter in our balcony of apartment. I gave up my veg garden a few years back, because of the slugs. But I want a raised bed. Lots of former gardeners use this methode to reduce the unwished eaters. Iˋm not a great fan of using harmful stuff. I wish so much, that the ugly beasts crawl there where they came from. I would like to have a plant on my terrace and in the spring I saw striking seeds on the market with the mention 'Wonder tree seeds' I was of course curious to know what a wonder tree is and I asked an explanation to the gardener and after his story about the wonder tree that ensures cooling in tropical countries, I bought a bag of five seeds. Now I have in my garden two such small 'Wonder trees', from the five seeds, stand, although it is now very hot I don't think they are as big as in tropical countries because they also need moisture air and here it is very dry. But I am proud because their colorful leaves and red fluffy flowers adorn my garden. Below you can see the seeds and my plants. @Paulette Are they trees? They seem not as tall as usual trees, especially you plant them in small flowerpots. Have you taken them inside house during winter? Do their leaves fall during winter? It's not forbidden but it is just inadvisable @lisa. I was pleased to see that the gardeners have not uprooted some turmeric root I planted in February from a pot in the garden. It is rather attractive, growing up though an azalea (they put this in place of my herbs). And also some of my parsley is reappearing in the same pot. @Hermine could you not get rid of the slugs? Did you try beer traps? 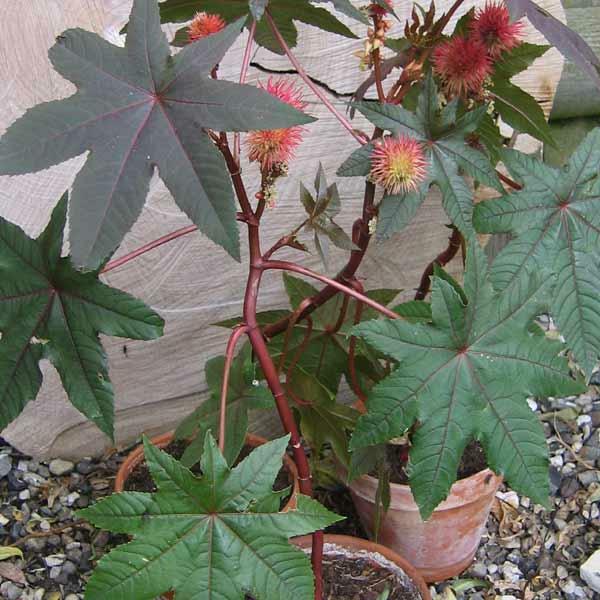 @Lisa it is only from the spring that I try this plant for the first time and I planted them in flowerpots, I read that in tropical countries can they be big, but my garden isn't a tropical place. The seeds are only for one year. So I have to try it again next year and the hope that the trees will be bigger then. I liked gardening when I was a child, and my father let me have a small part of our garden to call my own, and I could choose what I did with it. I totally don't have green fingers, even cactusses can't survive under my care. However, one spring day, I'll buy some plants again and I'll watch them grow and have flowers. I'm pretty useless with cacti too @april. I think it is because I overwater them. It can be difficult to give them just the right amount of water, and it depends on where they're kept too, so you need to be careful about that. I'm not sure anyone waters the cactus in the pot by our front door, but it seems to thrive. Do the cactus need to be watered frequently? There are plenty of cactus aside the roads of Algeria, I really do not think they are watered by workers except water from natural rain. @mheredge All of them are huge and thrive, and most of them harvest some fruits which I have never tried and known before I have been in this country. I think the main reason cacti die is that they are watered too much. Naturally, they have to survive with very little water @lisa. In theory this should make them the ideal plant for people who don't have green fingers. All plants in Algeria are very thrive, gaint or monsters. The climate of Algeria is amazing for both of people, plants and animals. @mheredge I am so honor to tell you that I am very good at taking care of plants in our office, compared with my other colleagues, all of them send their plants to my office, and most of them recover under care from me. My mom is very good at taking care of plants, especially flowers and vegetables, I think I inheirt some skills from her. do it early tomorrow morning before it gets too hot. 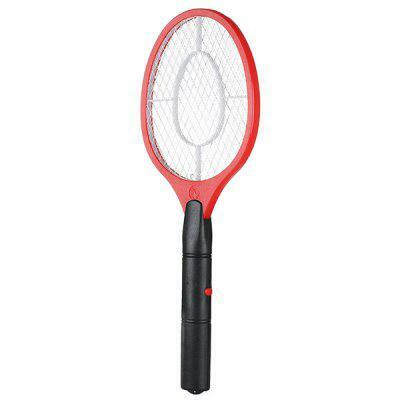 Unfortunately mosquitoes are very tough and survive against all the odds: mosquito repellent, citronella candles, lights that attract and kill them when they come too near, even racquet zappers @lisa. @mheredge Before, when I was very young maybe 6,7 years olds I had a garden in my yard. Actually my parents had a garden. In that garden they had only vegetables, tomato, onion and cucumber. That was be a basic vegetables. Later, they had build garage for car, and area where was be a garden is destroyed. Now at my yard we have ones tree apples, peaches, pears and figs. In China, we get used to use mosquito net and mosquito-repellent incense which is very effective, but parents prefer to use mosquito nets when their children are young. Unfortunately it is all in Chinese @lisa! I think citronella is supposed to be good and maybe I should look into some of this to burn in my apartment to keep them away. Definitely not! Remember that cactuses (cacti?) are native to the desert where there is very little water, and that is where they thrive the most. This is probably why they grow so well in Nice as normally (not this year though), it is very dry all summer. @mheredge Try wormwood, but I am not quite sure it works or not, because I bought some products of wormwood from China, but the mosquitos of Algeria seem to immune to those products. In contrast, they are working excellent in China, I still remembered clearly, my great grandfather(my grandma's father from my father's side) used the dried natural wormwood to repel mosquitos when I was a child, at that time, mosquito-repellent incense was not popular or invented at all.